After Jeremy Corbyn’s surprisingly good showing in the 2016 General Election, I wrote an article about Retiring Abroad, and what we might look for in potential destinations. I haven’t entirely decided to move abroad in the event of a communist regime taking over in the UK, but it’s a real possibility. Brexit is also a potential spanner in the works, since ironically I would prefer to move to an EU country. I began my follow up research with a holiday in Malta last October (very nice since you ask) and my next step was to attend this exhibition and seminar, which was arranged by the Portuguese Chamber of commerce. The seminar was organised by the Portuguese Chamber of Commerce in the UK. It is held at the Pestana Chelsea Bridge Hotel in central London, and appears to be held several times a year. I could see a similar event from earlier this year, but none appear to have been scheduled for later in the year. The format is that there is an exhibition in one room that is open all day, and then there are a couple of hours of short talks that are repeated three times during the day. I went to the afternoon session, from 3pm to 5pm. The seminars are free to attend, but you need to book in advance. I think that the exhibition may be open to all, without booking in advance. But it’s largely full of property developers and estate agents. There were a few lawyers and tax consultants. I think it would be more useful to someone who is further down their journey towards moving to Portugal, and so today I will focus on the seminars. The first couple of presentations were soft sells of how nice it is to live in Portugal, from people who have lived there for some time. 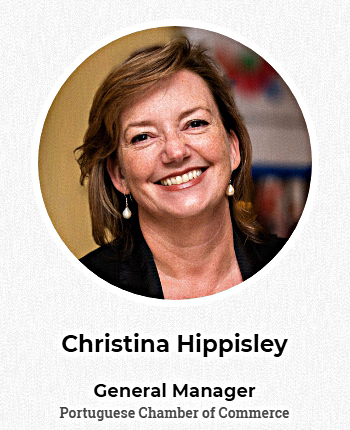 First up was Christina Hippisley, from the Chamber of Commerce itself. 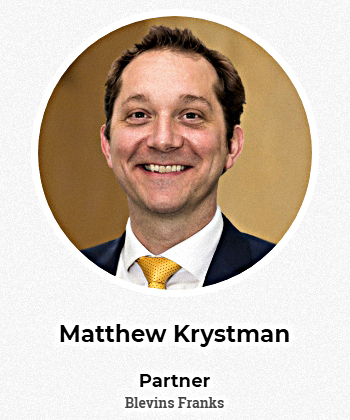 Then we had Matthew Krystman, from Blevins Franks (more from them later). Only 10M people, though Portugal is only around 40% of the size of the UK. The population density is also around 40% that of the UK. Third safest country in the world after Iceland (cold) and New Zealand (a long way from everything except Australia). It turns out that the oldest continuous treaty in the world is between the UK and Portugal. We’ll have more on this in a later post, but it’s basically a lower rate of tax for your first ten years in the country. 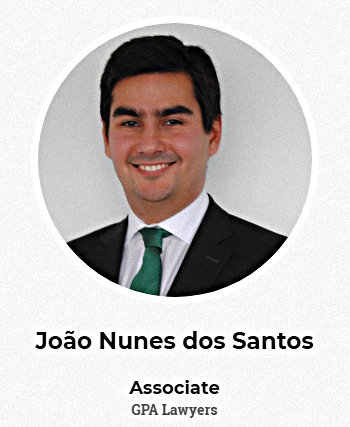 Next we had Joao Nunes dos Santos from GPA Lawyers, who walked us through the property buying process in Portugal. The reservation contract takes the property off the market, and involves a deposit of between €2K and €10K, which is usually refundable. 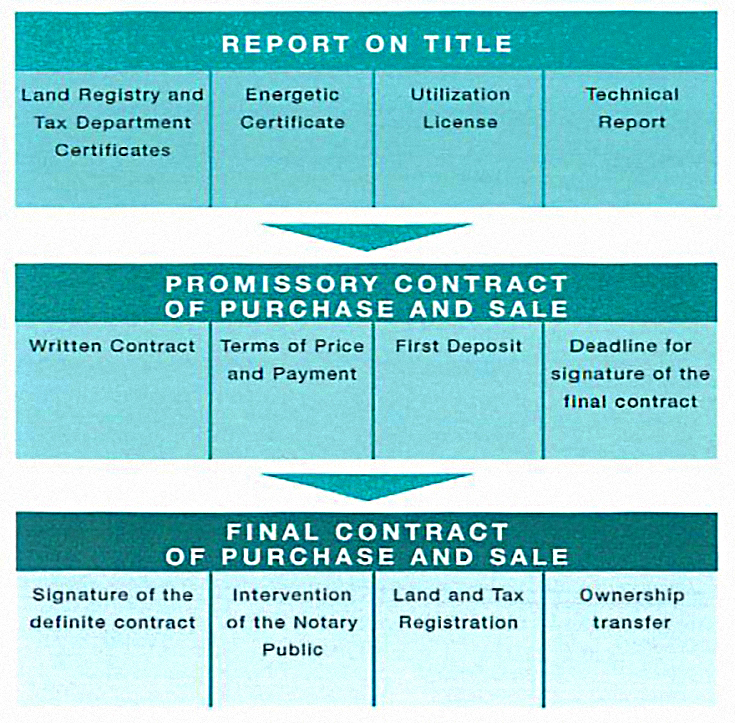 After ensuring the property has no “encumbrances” or “liens”, you pay the property taxes and register the purchase. 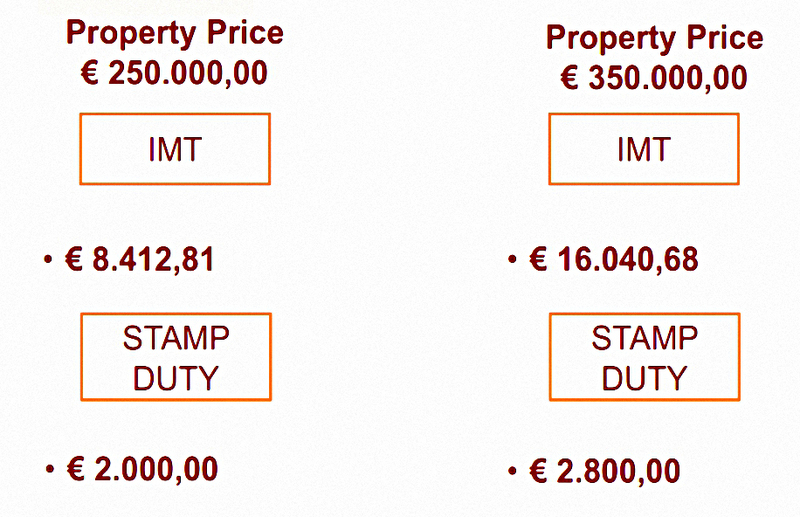 The property tax is tiered but looks vaguely comparable to UK stamp duty. A chart comparing the cumulative amounts due in the two countries at each purchase price would have been useful here. 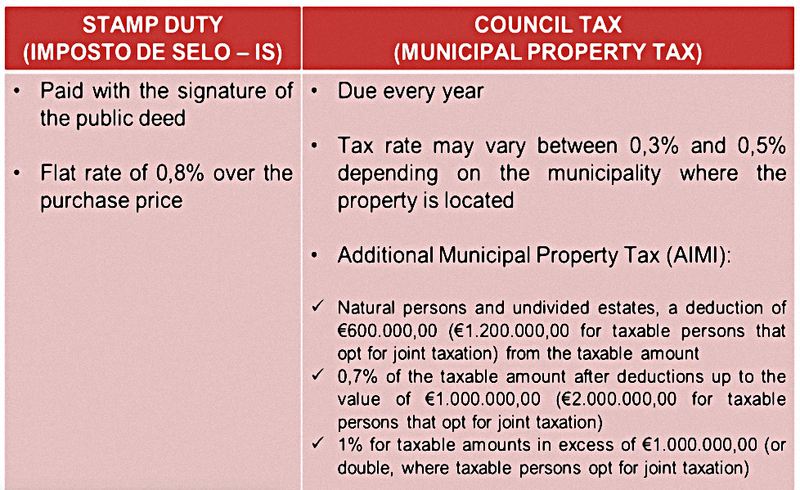 There’s also stamp duty of 0.8% to pay, and a council tax that runs from 0.3% up to around 0.8%. 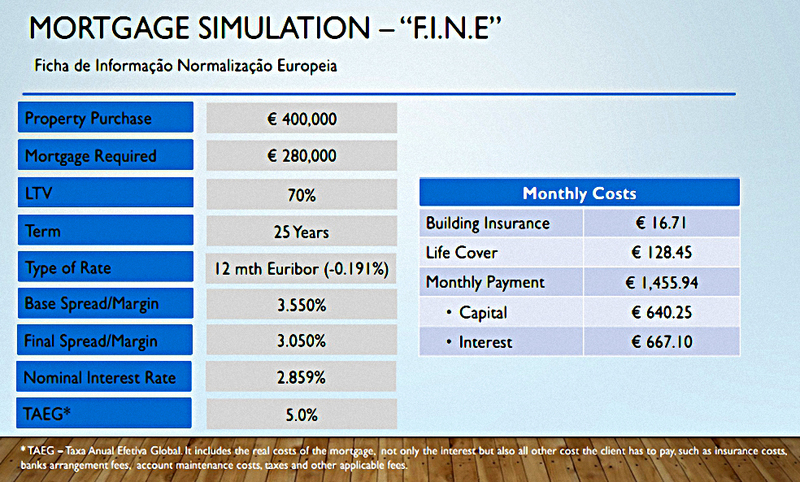 Joao provided a comparison of the costs for properties at the €250K and €350K levels. That didn’t help me too much, as I have no idea how expensive property is in Portugal. 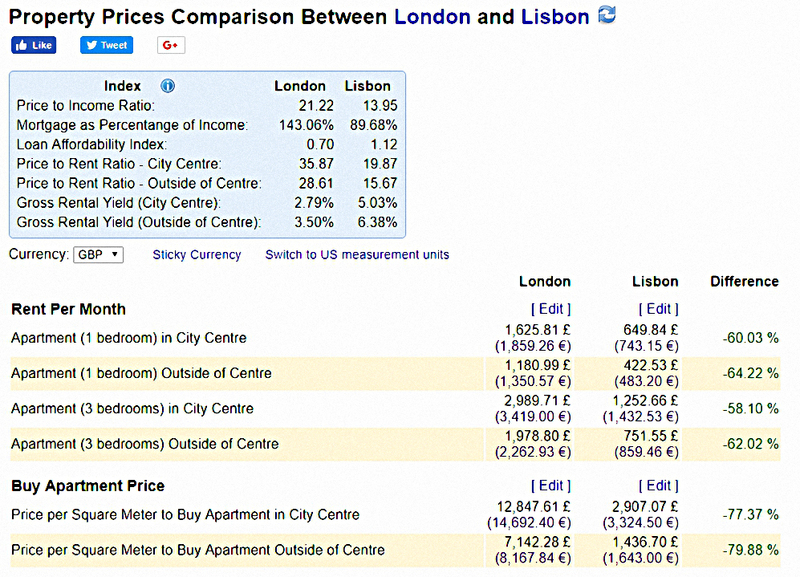 After a quick Google, I found a site called Numbeo that let me compare London and Lisbon. It looks as though central Lisbon is four times cheaper than central London, so perhaps we won’t need to spend much more than €350K after all. I also have a couple of relevant diagrams from Edge Lawyers, who gave presentation number six. They mostly talked about tax planning (and their firm’s services), but they also touched on property. 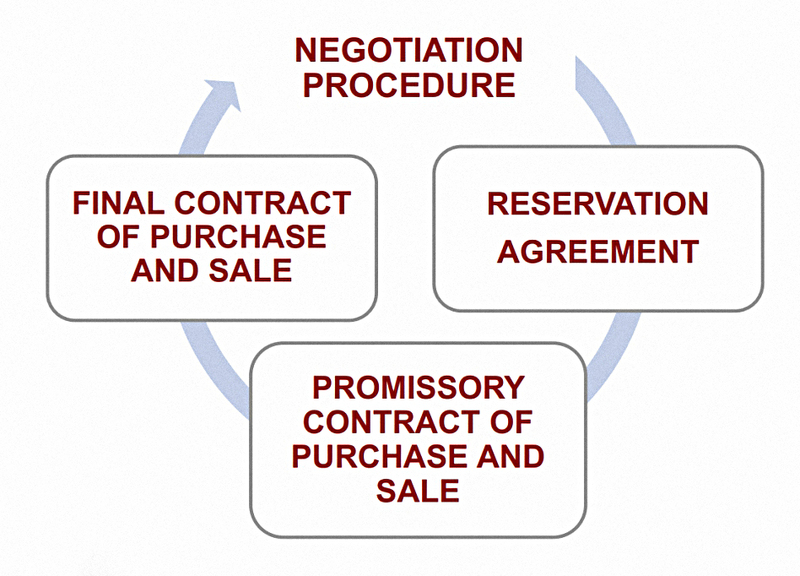 Here’s their diagram of the purchase process. And here’s their chart of the property taxes. Presentation number four was from Judith Price of Portugal Consultants. She told us all about Banking, Finance and Mortgages in Portugal. She began by walking us through a mortgage. I’ll almost certainly buy with cash, so this wasn’t of much interest to me, but I’m sure that some people will be interested. If you do need a mortgage, then you can borrow from €50K with a term of up to 30 years. 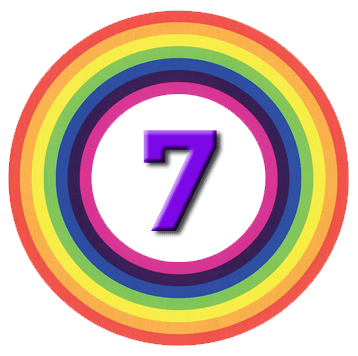 But loans must be repaid by the age of 75, so in practice the loan period is likely to be much shorter. Your total interest repayments (including on other debts) will need to be less than 30% to 40% of your net monthly income. She also had a handy list of the documents you need to get a mortgage (and other financial products). 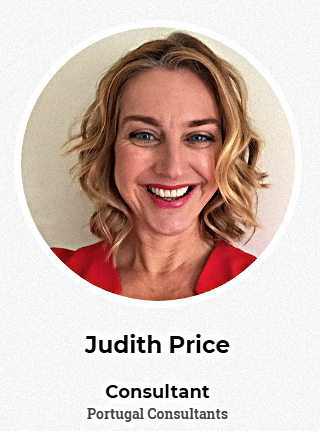 The example mortgage Judith used was 70% LTV on a €400K property (so €280K borrowed). The term is 25 years. The nominal interest rate was 2.9% but the “all-in” rate or TAEG is 5.0% pa.
That feels pricey to me, when 12-month Euribor is negative (-0.2%). Judith also had a handy table of associated costs. This shows that a €400K purchase (without a mortgage) would incur fees of around €25K, excluding lawyer’s fees. That’s not cheap by any stretch. 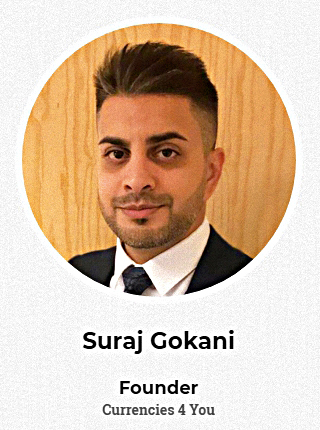 The fifth presentation of the day was from Suraj Gokani of Currencies for you. He runs a currency exchange and was trying to interest us in his currency transfers and FX hedging services. 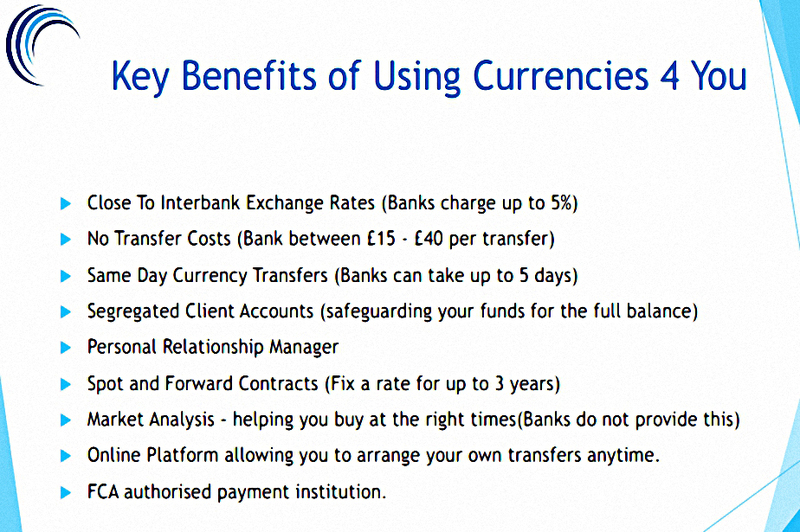 Currencies 4 You dates back to 2009 and has four offices, including one in Portugal. They transfer $300M pa, saving their clients between $9M and $15M a year. 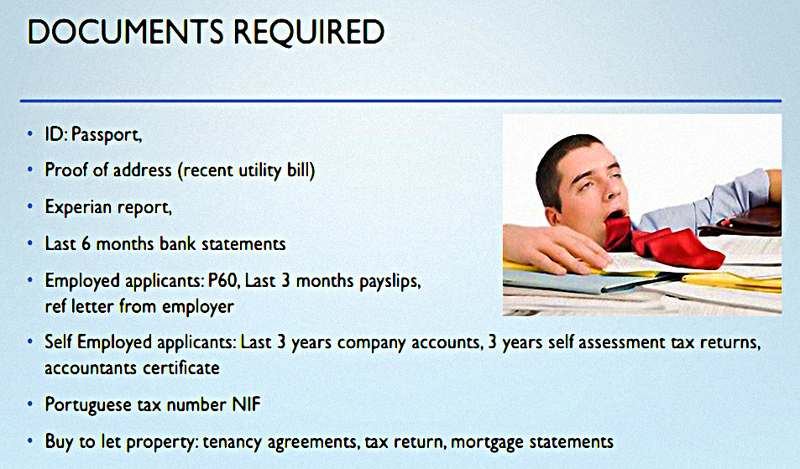 This slide shows how you could save £13K on a €500K transfer. That’s great in comparison to the high property taxes we looked at above. But remember this is not new money in your pocket, it’s the avoidance of yet another cost – the FX “tax” from big banks. Suraj had a slide highlighting the benefits of using his company. 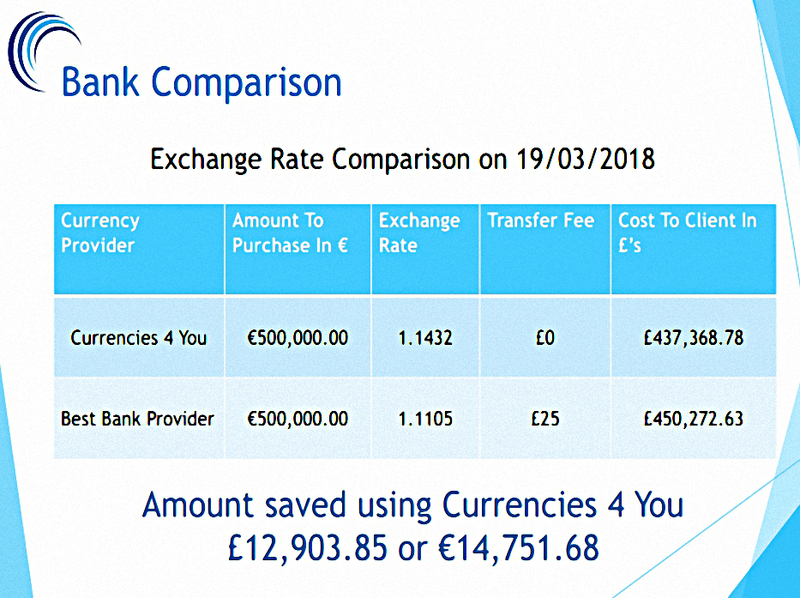 I’m all for using a specialist money transfer service like the one Suraj offers (other providers are available), but less keen on his second idea of using limit orders to catch the bottom of the £ / € range in the FX markets. Few people are good at this, and what if the markets are moving in the direction you’d like (pound up) in any case? A better strategy might be to convert your money gradually over months or even years, to make sure that you get an average rate. 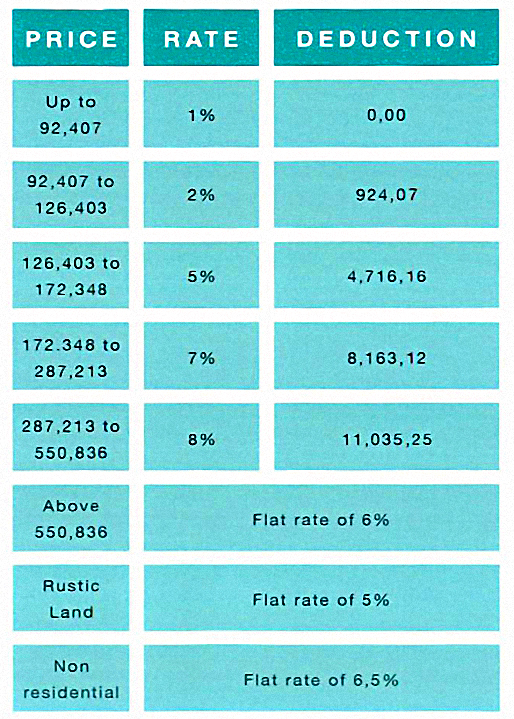 The sixth presentation – and half of the seventh – were about the NHR tax regime. We’ll save those until the next article. 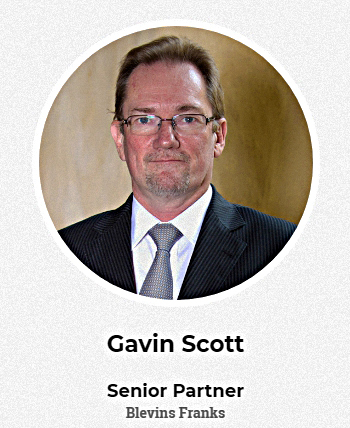 But Gavin Scott from Blevins Franks also talked about the potential impact of Brexit, so let’s have a quick look at that. Gavin emphasised that Brexit is a two-way street. 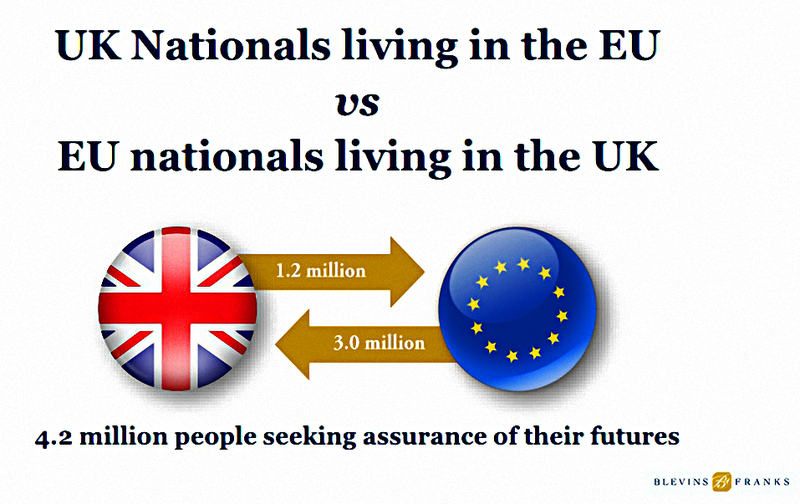 There are two and a half times as many EU citizens living in the UK who need reassurance as there are UK nationals in the EU. 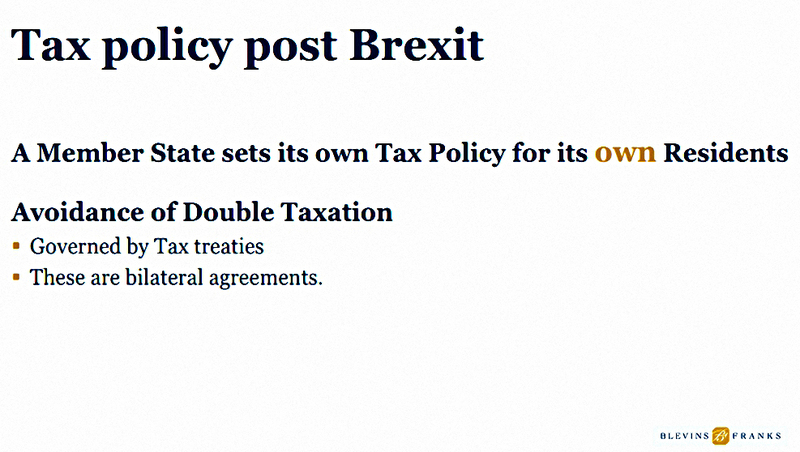 Tax policy is a national issue rather than a central EU issue. Double taxation is avoided by bilateral agreements. 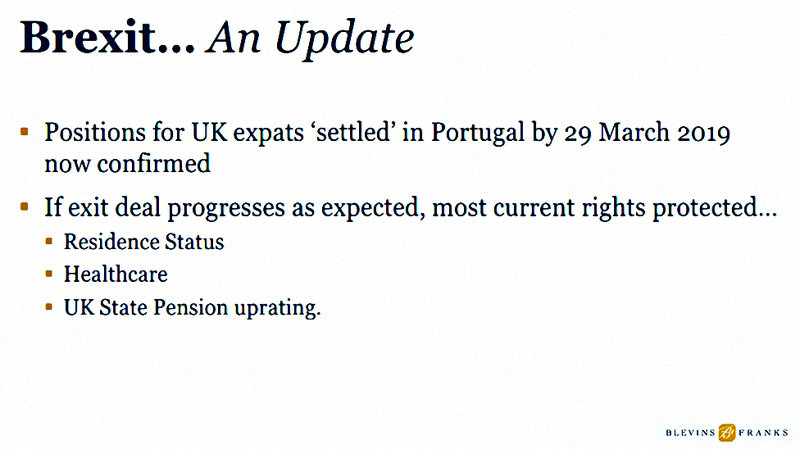 So there’s a good chance than existing arrangements between the UK and Portugal would continue. Brevin Franks say that you should move now if you can. That said, they expect things to remain the same through the transition period (to end 2020). But I can’t move at the moment. So I’ll just have to hope that Brexit doesn’t change things too much for people like me. 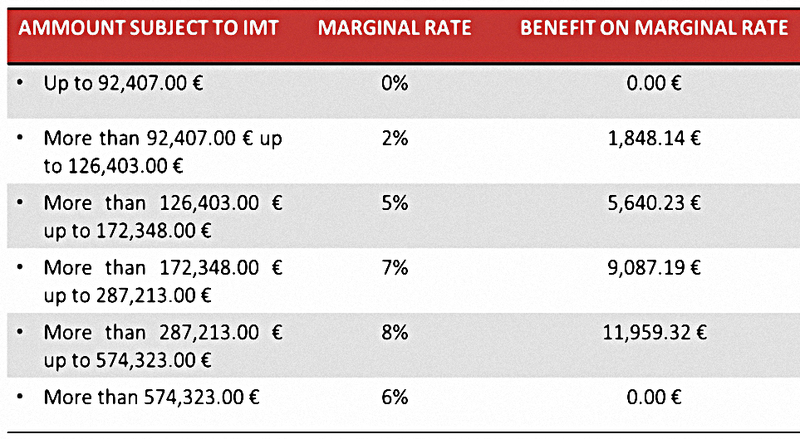 I’ll be back in a couple of weeks with a look at Portugal’s NHR tax-break for non-residents. 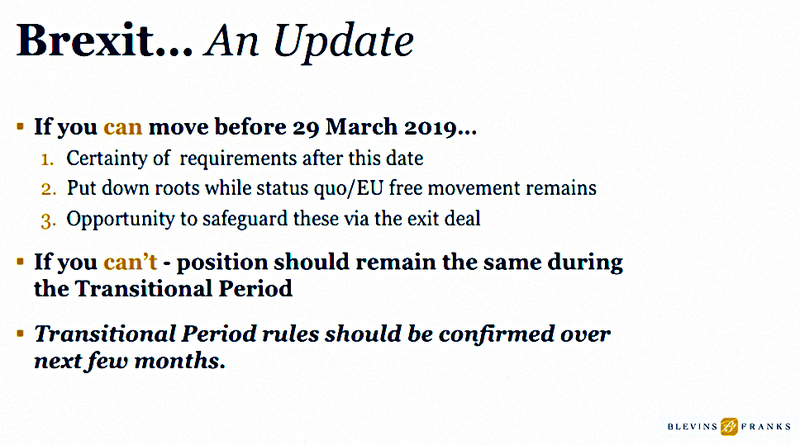 Hi Mike, love reading your analysis on various topics but this one interested me more than most as I moved out to the Algarve a couple of months ago, a few years earlier than I was planning due to all the Brexit uncertainty. I used TransferWise borderless account to gradually transfer money over for the property purchase. They now also offer a handy contactless Debit card too. The total bill including Stamp, IMT, notary and lawyer charges was about 5%. My council tax is 400 euros a year out here compared to £2,000 I was paying in London. I highly recommend Portugal, as you say it’s one of the few bastions left where the natives don’t totally hate us. 😉 The NHR scheme is the icing on the cake. 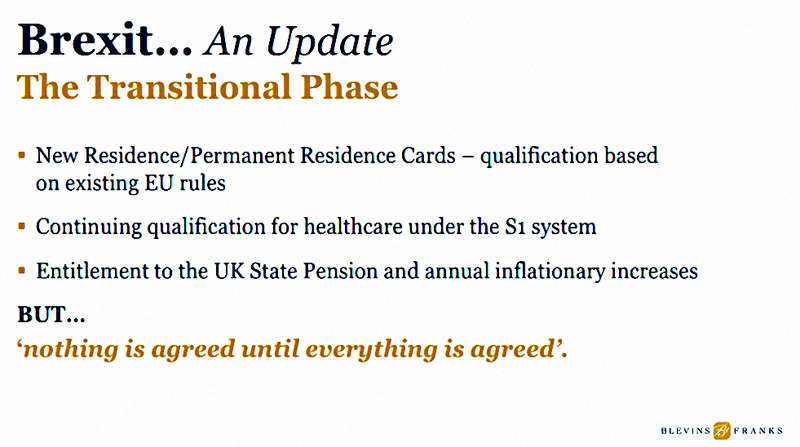 Tax free pension drawdown; what’s not to like?! Holy moly that’s a lots of fees for buying a property!!! I guess property ownership is not so popular in Portugal compared to the UK? Fees in the UK are pretty high at the top end, too – stamp duty is 12% over £1.5M. It’s very popular and certainly the market is booming here in the Algarve buoyed by both the NHR scheme attracting UK and French ex-pats in particular and the Golden Visa scheme which basically offers anyone outside the EU when buying a 500k+ euro property with a fast track residency permit. A typical Estate Agent’s commission sets you back an eye watering 5% so if you do buy you probably won’t be in a rush to sell!